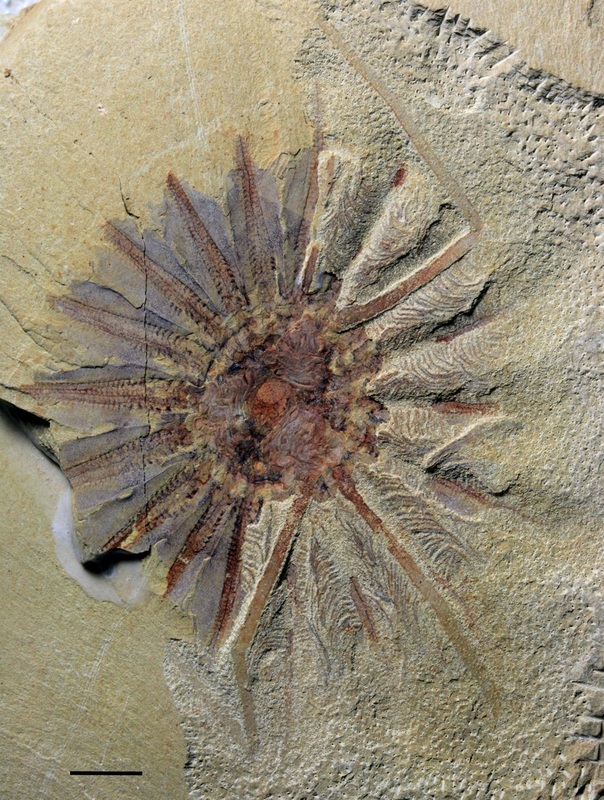 At first glance this fossilised sea creature looks more like the Sarlacc from Star Wars' "Return of the Jedi" than any animal on Earth today. 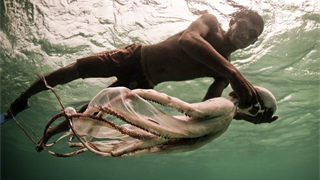 According to a recent study, the Daihuasanqiong - which lived 518 million years ago and was first discovered about a decade ago in southern China's Yunnan Province - had 18 long tentacles that branched away from its gaping maw. 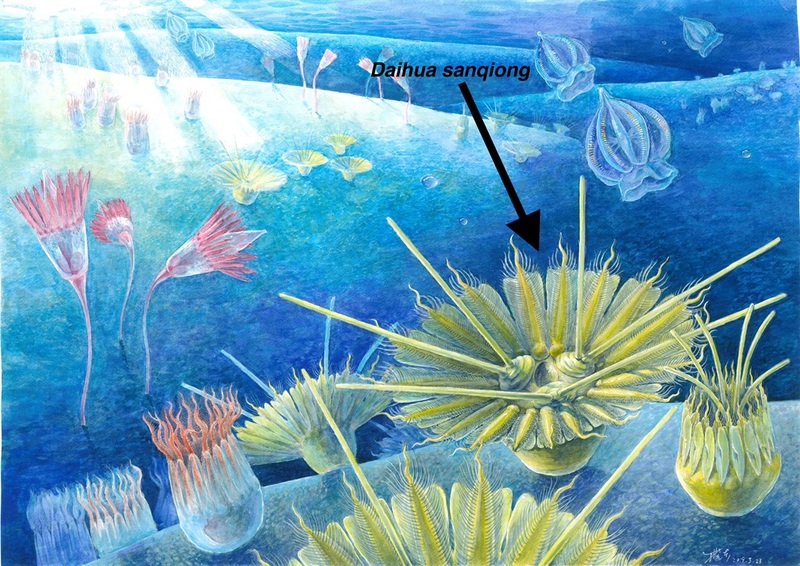 About the size of a half-dollar, Daihuasanqiong's flower petal-like appendages were covered in large hairs called cilia that the animal likely used to bring in unsuspecting prey. 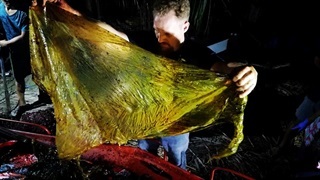 According to the new study, those hairs may indicate that the sea monster is an ancestor of an equally creepy underwater denizen that still swims in the ocean today: the comb jelly. 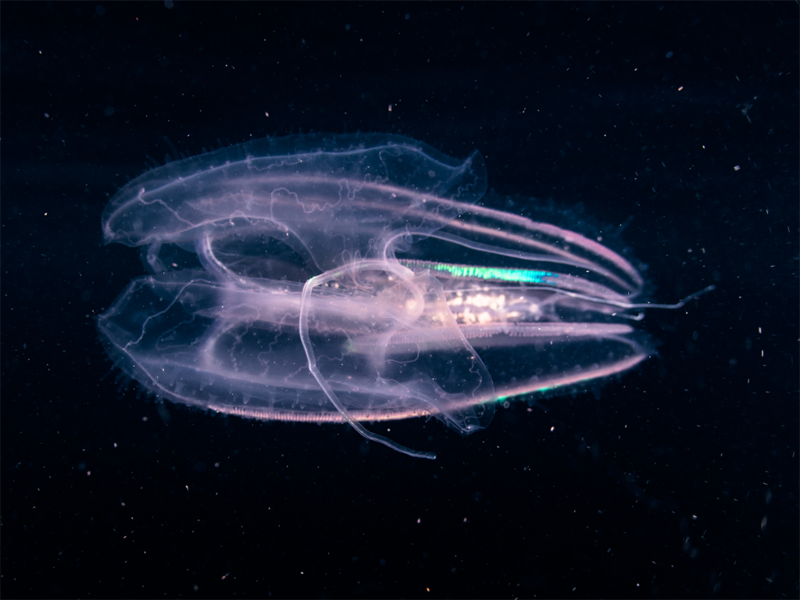 But after Vinther saw the Daihuasanqiong specimen, he realised there were physical similarities between the cilia on the ancient animal and the comb-like rows of cilia on the modern comb jelly. 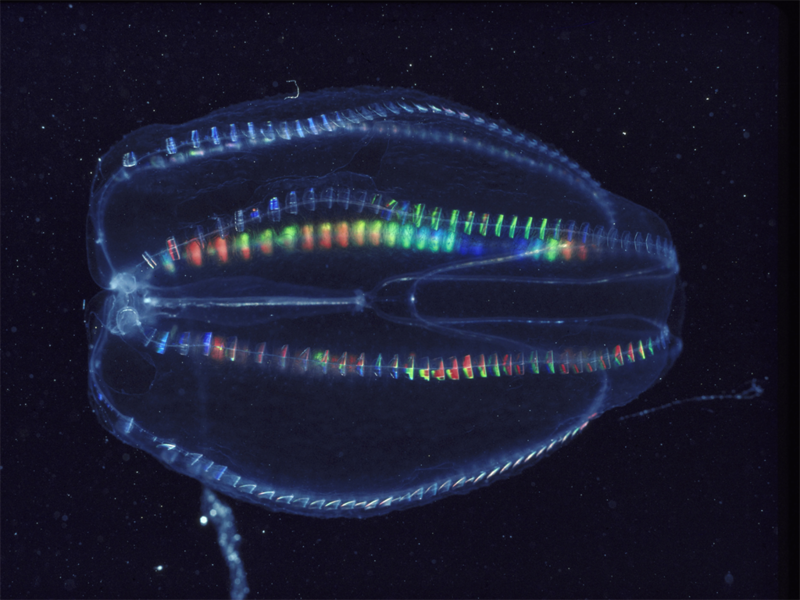 These similarities suggest comb jellies might come from a long, strange line of ocean dwellers. Typically, cilia are microscopic hair-like extensions that jut out from the surface of cells to help a cell sense its surroundings. But in the case of D.sanqiong, these cilia were large enough to fulfil different functions - they likely helped the animal move or catch its prey.